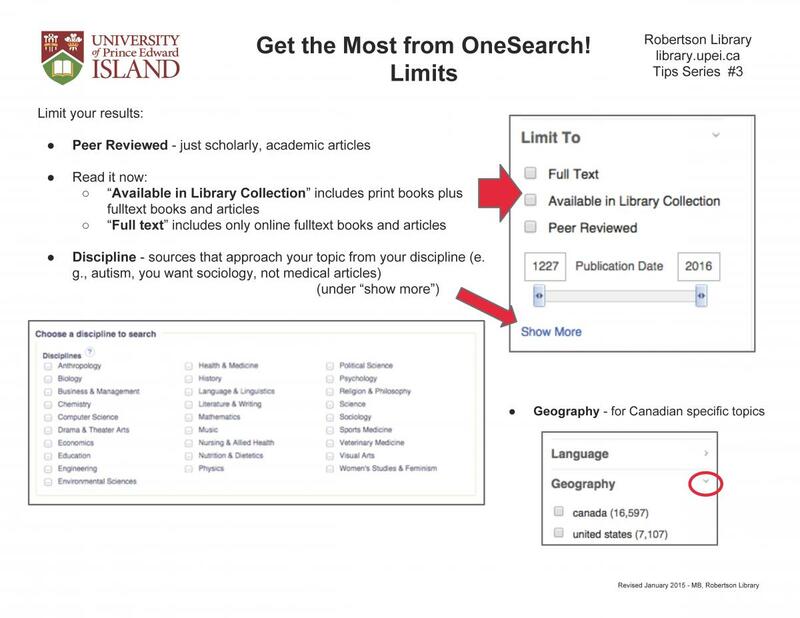 OneSearch uses EBSCO Discovery Service (EDS) to search almost all of the UPEI Robertson Library print and online collections, and millions of other materials not owned by the Library, in a single search. The goal is to find everything relevant to your topic. If the Library doesn't own a particular item, use Interlibrary Loan to request it. OneSearch does NOT replace access to the research resources individually; you can continue to access them within their original search interfaces by using Databases. The list of products included is very long, but it includes all EBSCOhost products, all or almost all of the full text journals licensed from Elsevier/ScienceDirect, JSTOR, Sage, Wiley, Springer, ACS, IOP, BioOne, and ProjectMuse, many of the specialty full text databases (Alexander Street Press, Adam Matthew), and millions of index-only article and book records from various sources. This product is integrated with EBSCOhost, so patrons who have created "My EBSCOhost" accounts will find those accounts also accessible in OneSearch, as are features relating to exporting to RefWorks, saving search results and search strategies, etc. 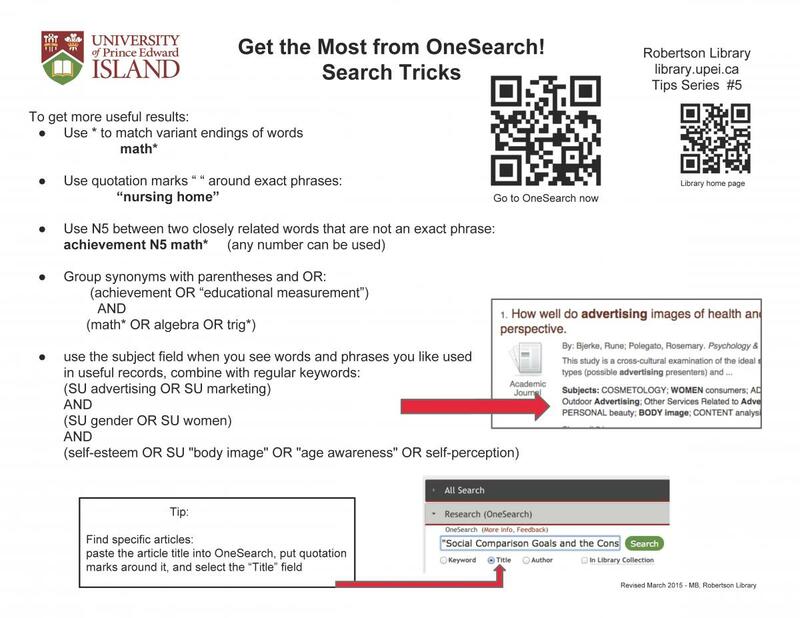 Guests off-campus are welcome to use OneSearch, but will find some indexing resources and most full text items are blocked from view due to product licensing restrictions. We display these so that guests would have a sense of how many other resources would be available if they come to Robertson Library, where they will have free access on our public computers to the entire range of resources.